Climate Change Theatre Action is a worldwide series of readings and performances of short climate change plays, presented in support of the United Nations Conference of the Parties (COP meetings). 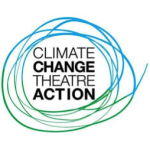 Produced by Joan Lipkin and Pamela Reckamp, “Playhouse Emissions: A Climate Change Theatre Action” will feature a sampling of the CCTA international collection of short plays inspired by climate change and prevailing attitudes towards science. Read by some of the leading actors in St Louis, the plays will be selected from over 25 cultures, from industrialized and developing countries and urban and rural areas. These perspectives include low lying nations threatened by sea level change and countries facing severe heatwaves, floods or droughts. The evening will also include a performance from Ashley Tate of Ashliane Dance Company. The play readings will be followed by a community tabling event, with numerous groups including Missouri Coalition for the Environment, Sierra Club of Eastern Missouri, Earthdance Farms, Central Reform Congregation, 350 STL, Citizen Climate Lobby, Midwest Coalition for Responsible Investment, the Ethical Society, Women’s Voices Raised for Social Justice, The Franciscan Sisters of our Lady of Perpetual Help, and more. FEE: This event is free for all, but registration is required online or at the door. Click here to register online.